Today we are glad to announce that we have reached another milestone on the luxury marketplace 1stdibs.com for our antique & custom furniture shop. 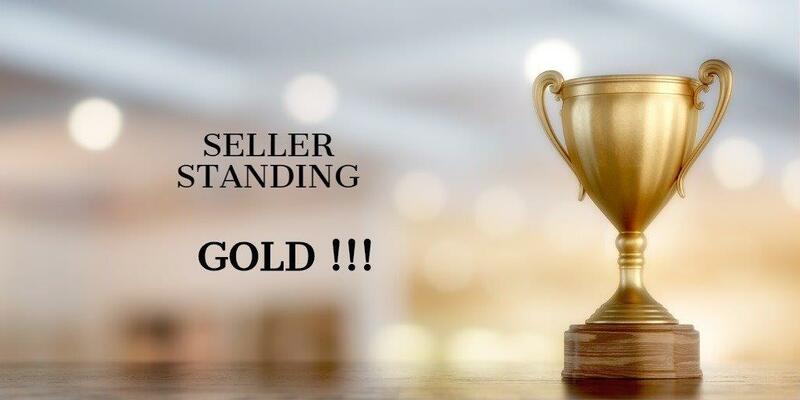 We got awarded the “Gold Award” in the seller standings. This award ensures to reward dealers with excellent custom service, quick response times as well as high customer reviews. We would like to thank every customer who left a honest review. That helps us out a lot! To better represent all reviews we will start to list all reviews here on our homepage. You can find them in the testimonial section. We hope that helps you to make an informed decision on a purchase with us. It also helps us to further improve our service and get to know the wishes and demands of our customers. If you are interested in our newest custom furniture and restored antique arrivals, you can always find them in our shop, or on our Instagram-Feed. We are looking forward to many future reviews and testimonials. Feel free to reach out with any question or demand. André achieves master joiner certification – congratulations!